Foot Health Matters FOOT HEALTH MATTERS IS A HCPC REGISTERED PODIATRY PRACTICE IN SOUTH BELFAST NORTHERN IRELAND. ‘Podotech’ & Video gait analysis. Sports injuries (prevention & management). Custom ‘Orthotics’ – (sports & occupational). Heel pain & Knee pain. Mr. M.O’Mullan D.Pod.M., S.C.Pod. (1984). Foot Health Matters is a long established Podiatry practice based in South Belfast (Northern Ireland). Located on Finaghy Road South, the practice is owned and operated by Mr Malachy O’Mullan. Mr O’Mullan graduated (with a distinction) in 1984 from the Northern Ireland School of Podiatry. Foot Health Matters opened in 1988 on a part time basis. In 1996 the ‘practice hours’ were extended to full time with additional early morning & late evening availability. The practice has developed significantly over the past 30 years and is extensively equipped with the very best technologies available. 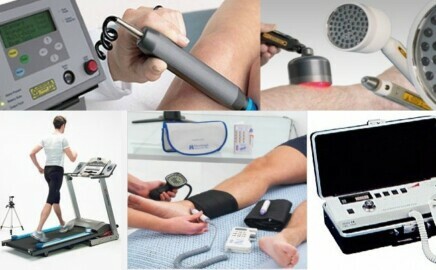 These technologies provide objective diagnostic data on a wide range of foot & lower limb conditions. With over 30 years of experience, you can be assured that Mr.O’Mullan will provide you with a very caring & capable professional service. Surgery Hours;- Open from 7.30am – 6pm daily, with late opening Mon & Wed to 7.30 pm. Location ;- Convenient location in South Belfast with easy access to Belfast’s ‘Outer Ring’, the M1 & M2 motorways. Easy Parking ;- Convenient trouble free car parking for patients right at the front door, couldn’t be simpler ! Book Online ;- Book your appointment online 24/7, immediate confirmation, simple & easy to use. Contact us;- By email 24-7 or by Tel : 7.30am – 6pm daily, with late opening Mon & Wed to 7.30 pm. Directions ;- Convenient location in South Belfast with easy access to Belfast’s ‘Outer Ring’, the M1, M2 & M3 motorways. Medical insurance;- Reclaim your podiatry treatment fees. Specialist Podiatry ;- An extensive range of ‘Specialist’ podiatric services. Save time & Book Online ! Simple, Convenient, Instant confirmation (automated email) !